College is a time of soul-searching and self-discovery. My friends and I have done a lot of growing up since embarking on our college journeys, and we credit a lot of it to the amazing experiences James Madison University has granted us in our four years here. With senior year coming to a close and graduation looming ahead of us, here are ten things I learned from my time at JMU. Balance: It can be difficult to prioritize between classes, work, extra-curricular activities, job/internship/scholarship applications, hanging out with friends, keeping up with family, and taking care of yourself in college. By senior year, I have the hang of it. Sort of. The point is, I’ve learned that while schoolwork and other obligations are incredibly important, so is taking time to unwind and do things I enjoy. The key is figuring out when to give yourself a break, and when it’s crunch time. Opportunity and taking chances: The truth is, opportunity doesn’t always just come knocking on your door. You have to seek it out, and it can take a lot of effort and perseverance to find the right job, internship, or other involvement. I’ve also learned not to turn down an opportunity just because it doesn’t look exactly like what I had imagined. I’ve taken a chance on a few things at JMU that turned out to be amazing opportunities. Discipline: College is hard. Keeping up with everything going on in your life is not a walk in the park arboretum. Sometimes you’re going to want to take the day off and do something fun despite multiple deadlines coming up. Even though late nights in the library aren’t the most fun college activity, it feels good knowing all my hard work paid off. Discipline and time management are two skills I’ve honed in my time here at JMU. Independence: Often, going to college is the first time you leave home. Learn to take care of yourself and how to look out for your best interest. Eventually, you’ll get to the point where you don’t have to call Mom or Dad every five minutes to ask how to do something. Push yourself to figure things out for yourself, but recognize that it’s still okay to ask for help when you need it. Making mistakes: You’re going to make mistakes. A lot of them. And that’s okay, as long as you learn from them and use them as opportunities to grow and better yourself. Don’t get caught up on the small roadblocks in the path to your goals, find a way to move past them. How to step out of my comfort zone: One of the most exciting things about JMU is that there truly are endless possibilities to get involved. Try new things, even if you know you won’t stick with all of them. You never know what great friend or experience will greet you if you don’t try. Not to compare myself: Throughout college, I sometimes struggled with feelings of self-doubt. It can be stressful when it seems like everyone around you has their whole future mapped out, and you don’t even know your next step. Remember that in the long run, everything will work out. Take a deep breath, and give yourself a break from the worrying. I guarantee you that everyone else is facing their own unique challenges. Resourcefulness: Sometimes in college you have to get a little creative to get things done. Many of my classes taught me that there are a multitude of different ways to get to one end goal and that has transferred into every aspect of my life (budget included). My experiences at JMU have helped me learn to use the resources I have to my advantage. Living in the moment: It can be easy to get so caught up in the stresses of everyday life that you forget to just enjoy the little things, like laughing at the dinner table with your roommates, or the camaraderie with a classmate who’s in the exact same boat as you. Put away your phone the next time you walk around campus and really take in everything around you. Appreciate how lucky you are to be here at JMU, even though it’s stressful at times. How to be myself: I can largely credit JMU for helping me discover who I am: my likes and dislikes, my strengths and weaknesses, my wants and needs, my future goals and aspirations. I’ve learned the importance of simply being me, and accepting others just as they are, too. I’m so lucky to have called this beautiful place home for the past 4 years. Photo by Carrie Chang. 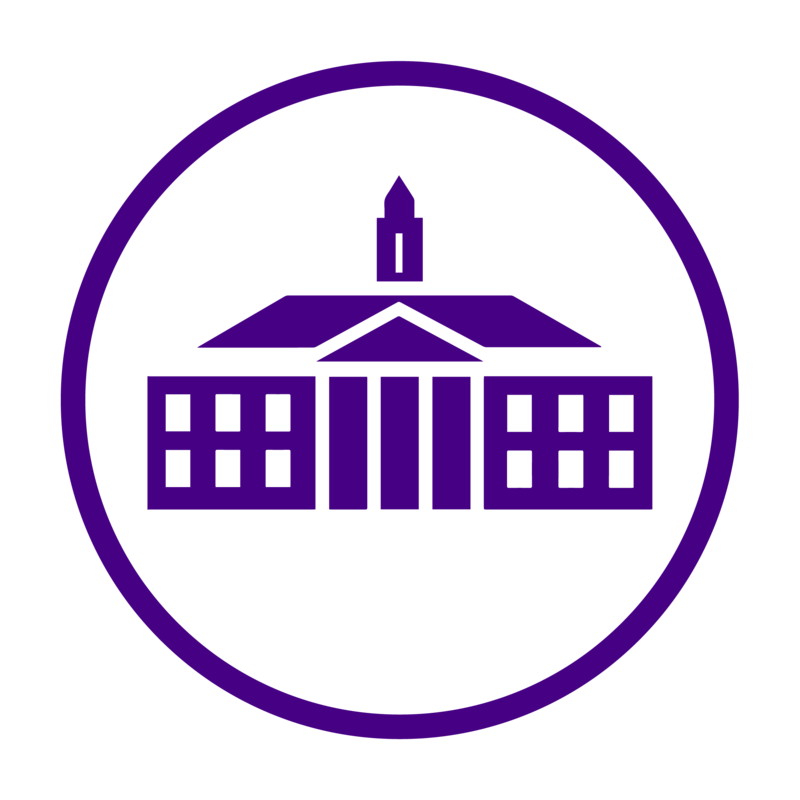 Dukes, what’s the most important lesson JMU has taught you? *slow momentous clap* “I’ve learned the importance of simply being me, and accepting others just as they are, too.”–> this spoke volumes to me. Great article Julia!